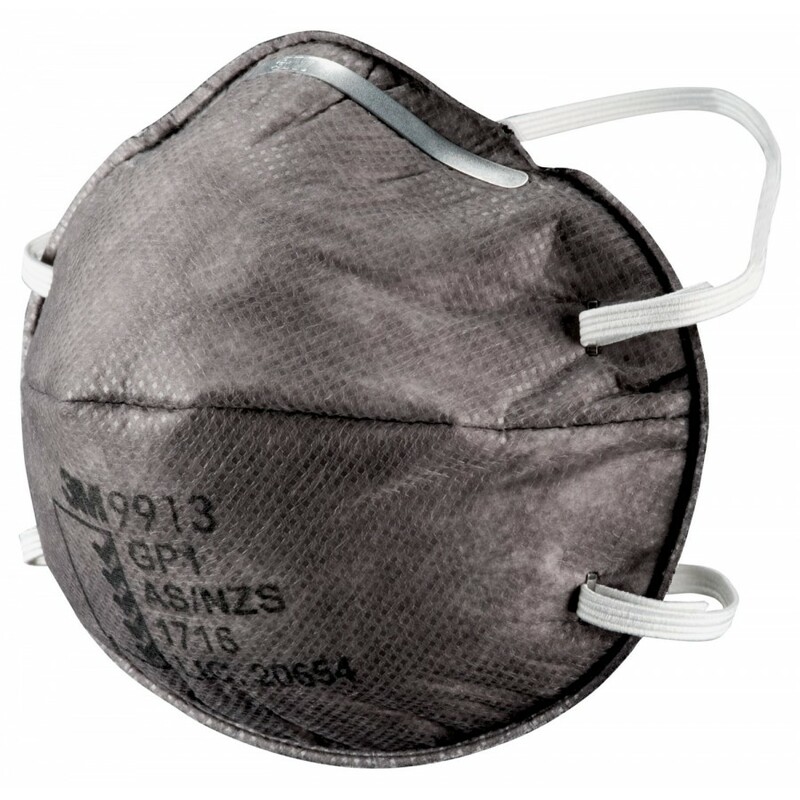 Cup shaped dust mist respirator that can be used in a variety of applications including nuisance level organic vapour. Simple design and easy to wear. It is important to wear respiratory protection when handling agricultural chemicals like pesticide and herbicide. i.e. below 1.3 Pa @ 25?C of many agricultural chemicals, e.g. pesticide and herbicide. The 9913 respirator is compatible with other 3M personal safety products, e.g. eyewear and earplugs.